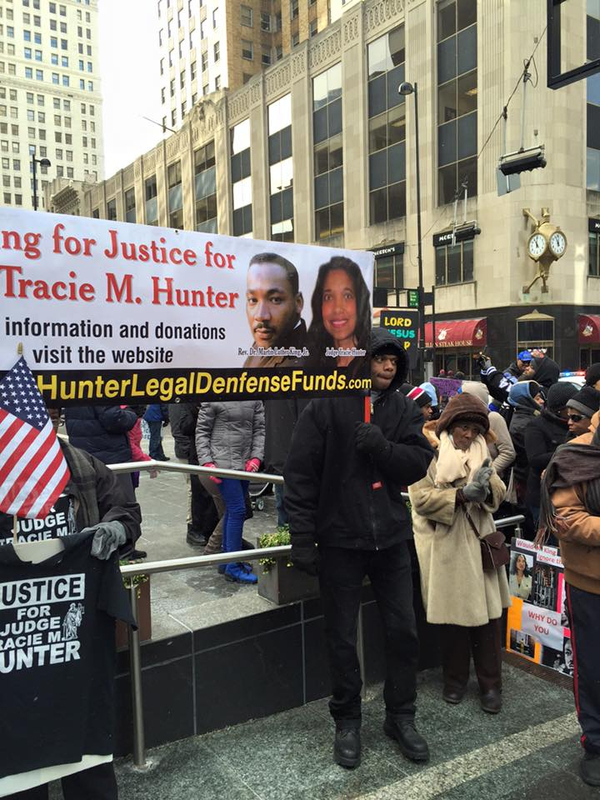 The Tracie Hunter Legal Defense Fund was created to allow supporters to donate money to help pay for certain legal fees. 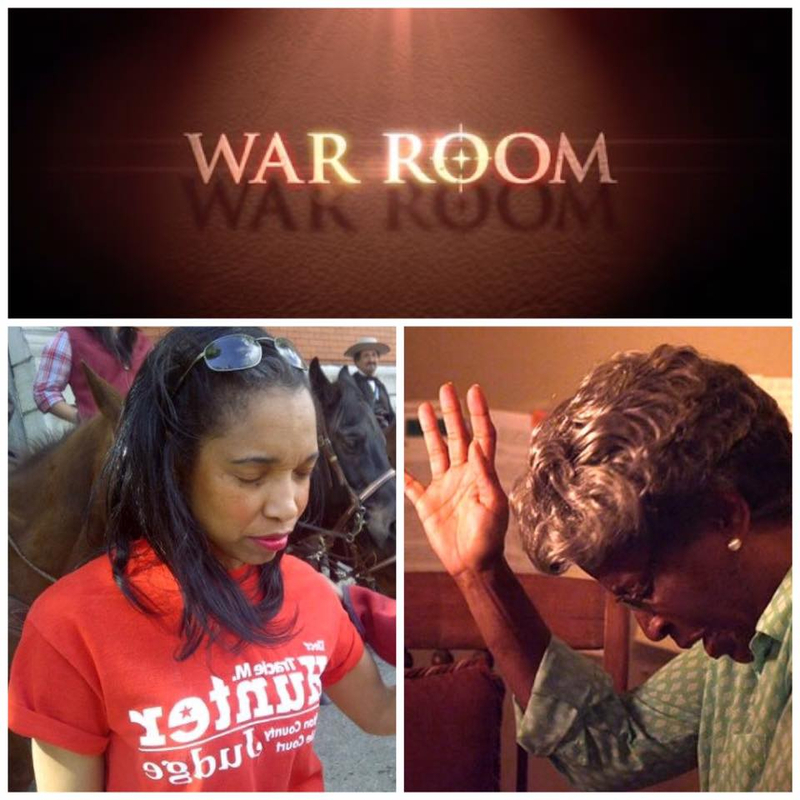 You can make your donation by clicking on the link below. 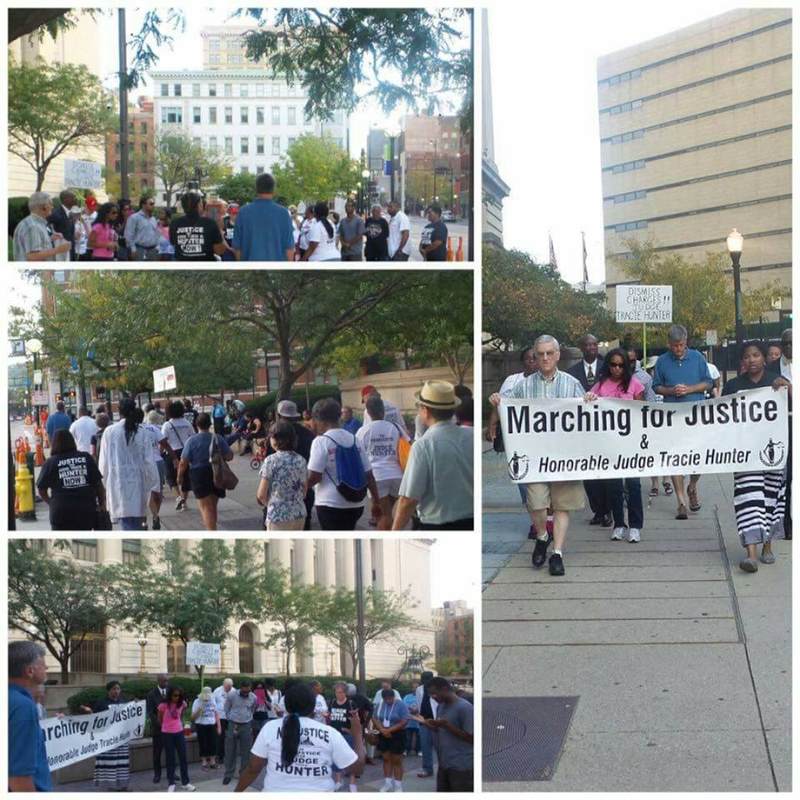 We thank you so much for all of your support and contributions. 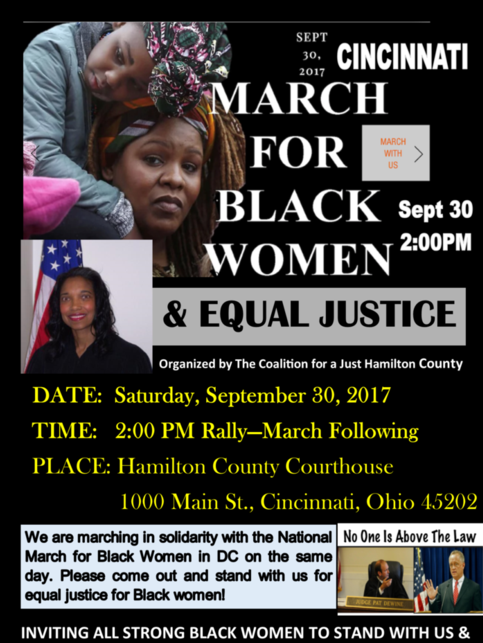 Come Out and Support Judge Tracie Hunter. 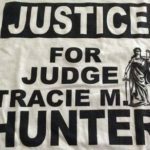 Judge Tracie M. Hunter is both the first African-American and first Democratic Judge of the Hamilton County Juvenile Court in its 110-year history. 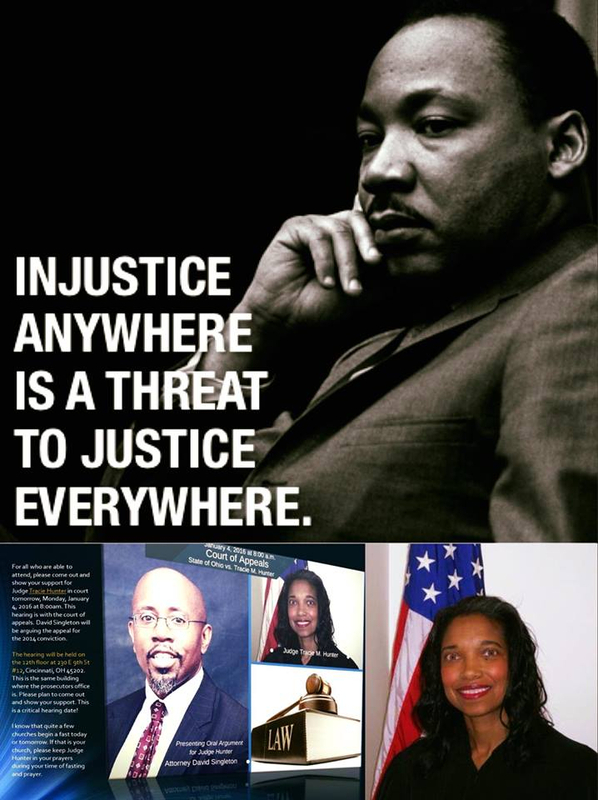 Judge Hunter is the first African-American to win a contested countywide seat of any political office in Hamilton County who was not previously appointed. 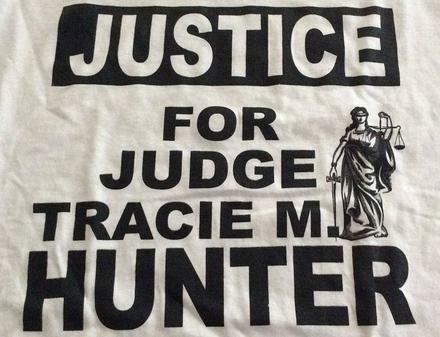 Judge Hunter’s rulings in cases involving discovery set legal precedent in Ohio. 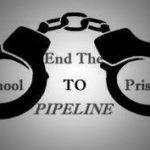 As a result of her rulings, it is now Ohio law that prosecutors must disclose to a juvenile respondent all evidence in the state’s possession that is favorable to the juvenile and material either to guilt, innocence, or punishment, including police reports. 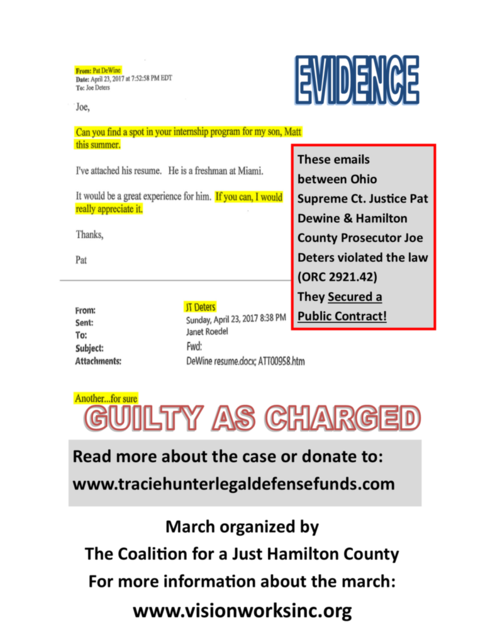 Judge Hunter discovered in 2012 Judge that Juvenile Court case statistics were being inaccurately reported to the Ohio Supreme Court. Her findings led to a major overhaul of court practices and a complete change of the Juvenile Court Management System. 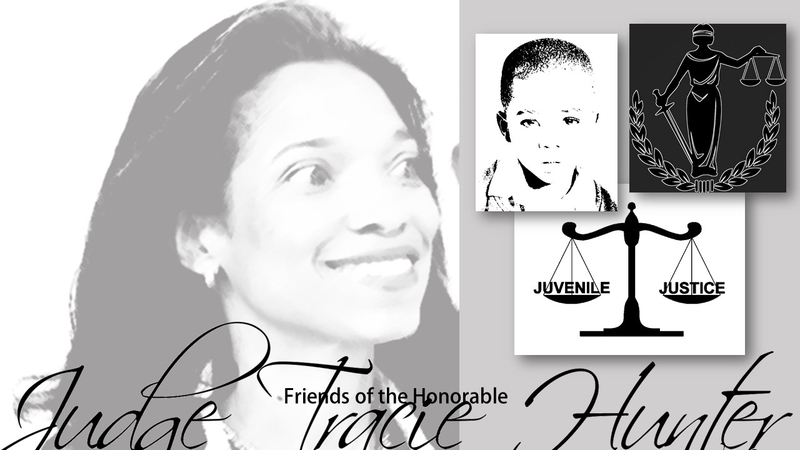 In April 2013, Judge Hunter outlawed the routine shackling of juveniles in her courtroom. 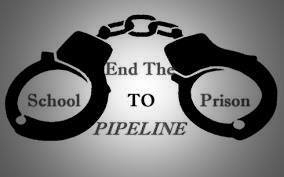 The ACLU is seeking to ban the shackling of Juveniles in Ohio. Judge Hunter listened to employees and implemented Juvenile Court’s first Dress Code at 2020 Youth Center in order to reduce violence amongst juvenile detainees. 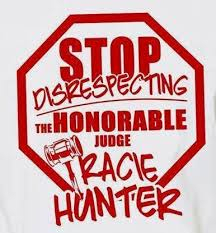 Judge Hunter began an initiative to retrain employees on restraint techniques, in her efforts to reduce high incidents of injuries to both employees and juveniles. Judge Hunter was told by staff that she was the first Judge to ever meet with Youth Center staff at their request to address their issues within Juvenile Court. 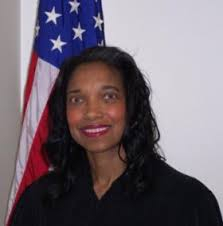 Judge Hunter challenged the Court to follow EEOC guidelines when hiring employees. Judge Hunter improved court practices, such as requiring the Court to properly serve notice to parties in her efforts to reduce default judgments against absent parties. 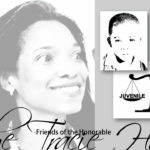 Judge Hunter allowed media in her courtroom, but was sued repeatedly by the Cincinnati Enquirer and WCPO for prohibiting the publishing of children’s faces and names. She was held in contempt by the First District Court of Appeals for protecting children. Experts agreed media exposure would hinder the successful rehabilitation of children. Judge Hunter routinely ordered specialized evaluations for children charged with serious offenses to ensure that all children received fair hearings based on their mental abilities. 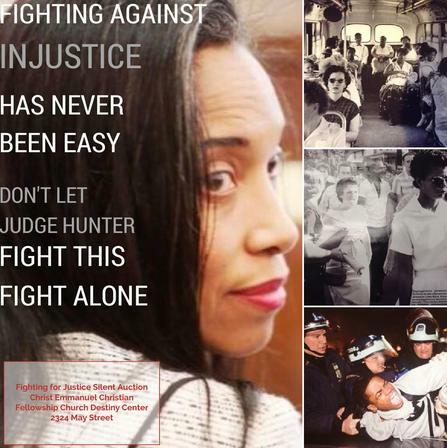 Judge Hunter routinely challenged defense lawyers to effectively represent their clients. 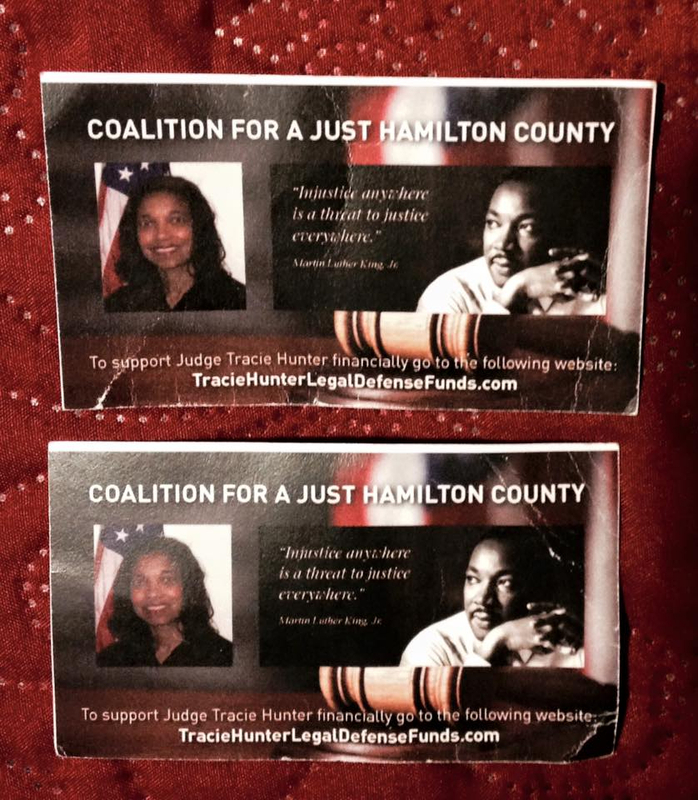 Judge Hunter applied for a one million dollar grant to start Hamilton County’s first Gun Court. 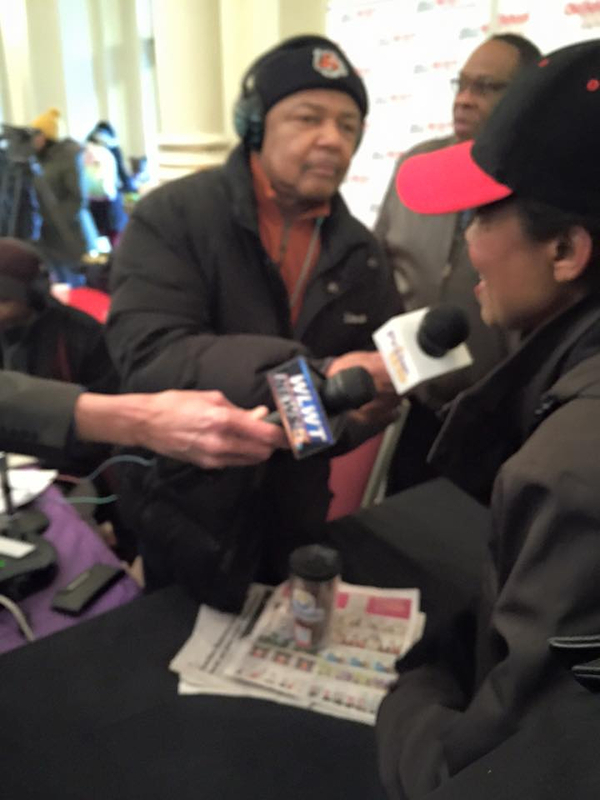 She will continue to seek alternative solutions to reduce juvenile gun violence. Judge Hunter crafted unique dispositions emphasizing education and vocational training to rehabilitate juveniles, reduce recidivism and successfully reintegrate them into society.